At a time when many people find it difficult to ponder much beyond their own day-to-day survival, Real Life Church in Valencia launched what organizers call a two-year “generosity initiative” that asked congregants to consider new, different, creative ways to improve the quality of their own lives and help others in the community who are in need. The initiative started Feb. 26 with an open, rhetorical question, and the ensuing brainstorming and discussion was designed to encourage out-of-the-box thinking, responses and action, said Steve Meyers, student ministry pastor of the church on Newhall Ranch Road in Valencia. The question extended to family: “What if parents really got involved in their kids’ lives and really invested in communicating with them and knowing them and not letting them raise themselves?” Meyers said. And then to church and community: “What if the church really looked into the community and said, ‘We want to help meet needs’? What if we were able to partner with nonprofit organizations like A Light of Hope or an Alcoholics Anonymous chapter or Help the Children or Single Mothers Outreach? What if we could really, really invest in them — what could happen?” Meyers said. The “What if?” discussions have taken place at the church, during services, gatherings of church youth and outreach groups, among customers at the open-to-the-public Undergrounds coffee house on the church’s ground floor, and other recent community events in which the church and its members have participated. The discussions resulted in four proposed projects — one for the community and the other three to expand and improve the Real Life campus — that the church would like to work on over the next two years, depending on funding and, in some cases, city building permits, said Steve Whitney, New Life’s director of ministry. “Part of what the ‘What If?’ campaign will do is generate funds for our ongoing ministry budget, so it’s going to help us keep everything running for the next two years as kind of the baseline, and then over and above that, we have these four additional project we’re looking at,” Whitney said. The community project is the one Real Life members are most excited about, he said. “We’re looking at leasing some property in Newhall and creating a nonprofit hub for many of the organizations that are already established here in Santa Clarita, such as Lutheran Social Services, Single Mothers Outreach, A Light of Hope, and several others operating in the valley,” Whitney said. “They’re independent from us, but they’re just doing a lot of good things here in the community. “Our idea was to create some office space where they could rent at a very nominal fee, and then the synergy of them being under the same roof to create some connections and kind of a service hub for the whole community,” he said. The other three proposed projects are contingent on city approval of plans as well as budget, “and would help us keep rolling so we can keep doing what we’re doing,” he said. 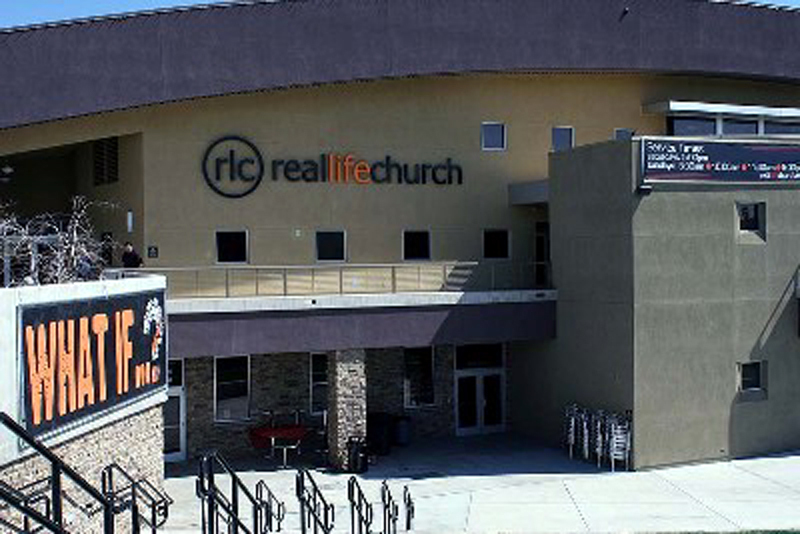 Real Life Church is located at 23841 Newhall Ranch Road, Valencia 91355. For more information, phone 661-775-7401 or visit www.reallifechurch.org.